Flexibility, scalability and multifunctionality - the combination ensures a wide popularity of Wialon in 120+ countries worldwide. At that we never stop working to extend system functionality and timely address the emerging issues on the evolving telematics market. 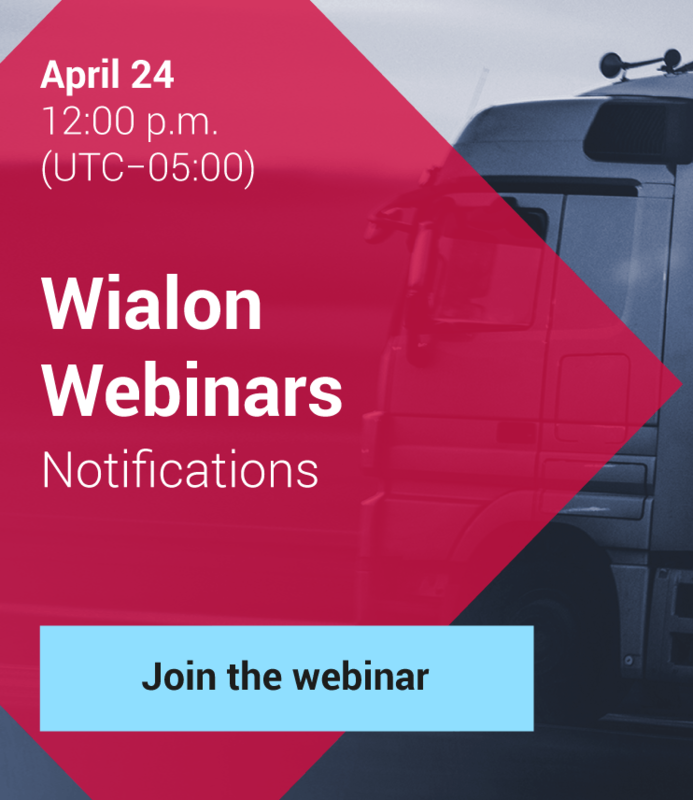 24/7 technical support, in-house training and certification system, detailed documentation, feature stories, videos and manuals help to master dozens of sophisticated tools and assure quick start of your business with Wialon. Practice is worth a thousand words, pictures, videos and this is why we implemented Quick Start window, that helps to take first steps in the system. Previously the service had been available for a limited period and after that a user had to look for another way to learn the basics. 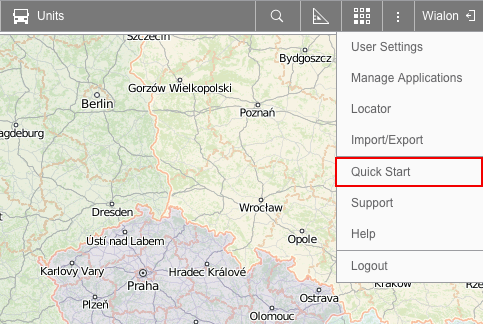 Quick Start tutorial program still remains in high demand and is now available as a service in account properties. 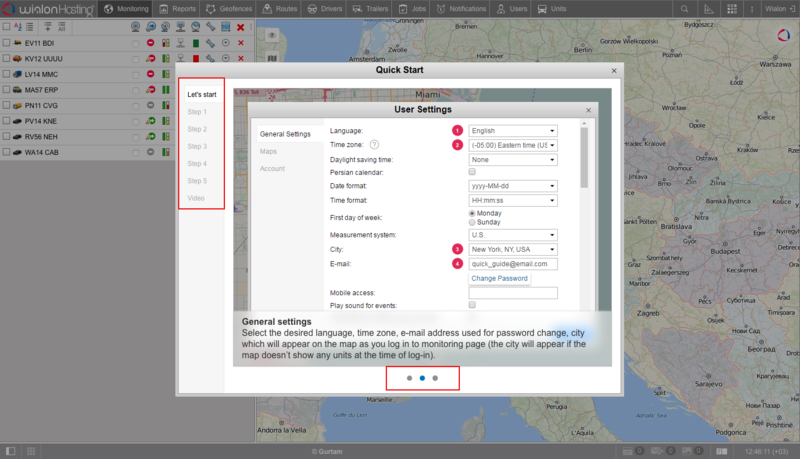 After its activation in CMS Manager you get access to instructions on user settings, units, geofences, notifications and reports management directly from system interface. The opportunity to learn the system in practice will help the new users to get into gear faster. Consequently, they won’t need to browse documentation to acquire fundamental knowledge. Moreover, it creates a groundwork to go deeper into satellite monitoring with the help of Wialon Trainers and educational materials. After a quick reference a user has a chance to watch a video, presenting the core stages of working with a system. Given the fact the the video is dedicated to Wialon system, it’ll be unavailable for the users using white-labeled system versions. 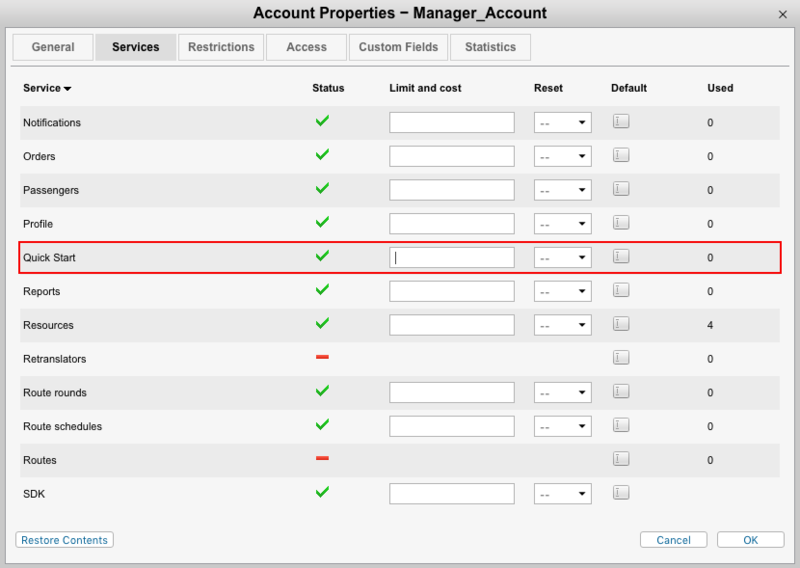 Quick Start is activated by default for all new Gurtam clients and the existing partners can switch it on for any account in CMS Manager. They say the harder the training, the easier the mission, and we aim for making it easy in both cases.